Congratulations! 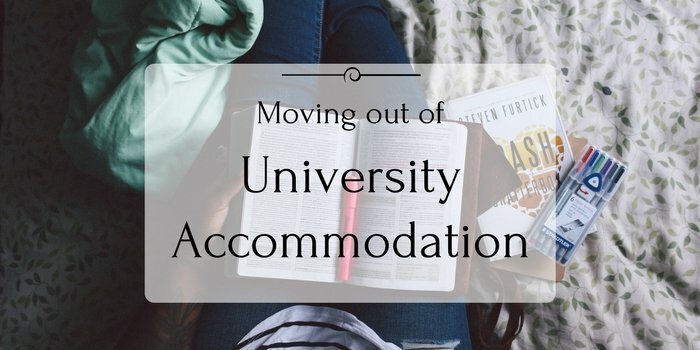 You’ve made it to the end of your first year at university, but instead of putting your feet up over the summer you’ll need to vacate your university accommodation to make way for the new first years. While this can be a stressful time, trying to juggle moving, exams AND a social life, there are ways to reduce the amount of stress. One main strategy is to be as prepared as possible. So don’t leave the majority of your packing until the last minute. You will have a lot to pack up and it will most likely take longer than you think! So don’t leave it until an hour before you have to leave, as it won’t get done. Also beware, for if you don’t pack your boxes up carefully and efficiently it could result in broken or damaged items. It is vital that you pack your belongings up effectively. Items that have not been packed correctly could end up damaged or even broken. Bubble wrap is your best friend when it comes to packing. Wrap everything that is fragile and expensive in bubble wrap. If you can’t get hold of a lot of bubble wrap then use what you have. Soft items, such as pillows and blankets, can be a sufficient and inexpensive alternative to protect valuable items. When packing your boxes try to fill them up as much as possible. Any empty space will mean that your items will move around and could break. You can fill these empty spaces with bubble wrap or another soft material. Although it’s a good idea to fill your boxes up, it is not a good idea to overfill them to the point you can’t close the lid, for this leaves it in a delicate state. Although cleaning up after your first year at university isn’t at the top of your list of jobs you want to do, it is something that needs to be done. You will be expected to leave your accommodation in a clean state, similar to what you arrive to. It’s surprising how quickly you can clean up, especially if everyone helps out. If you’ve kept on top of your cleaning over the past year, then this final task shouldn’t be too daunting. Many students will have to travel a good length away from home for the summer, meaning that they won’t want to take the majority of their belongings home. This is when storage units can come in handy. You can either store just your books, or the whole contents of your bedroom. Hazardous materials, for example chemicals or anything that could start a fire. Scented items can attract insects and are best left out of a storage unit. If you’re a student in Cardiff, Swansea or Leicester, find out more about our great student storage rates. You can either contact each company that sends you post and notify them of your change of address, or use the Royal Mail’s redirection service. It is also a good idea to leave your forwarding address with the university or landlord. Most landlords will inform you of the correct way to give back your keys in the contract you will sign. If you are staying in halls of residence then an email will usually be sent to you outlining the procedure of giving keys back. Some universities will hand out folders at the beginning of the year, which outlines the procedures you will need to follow while living there. Remember to leave all of the keys that you, and your housemates, were issued so as to avoid any extra costs that could be incurred. If you have lost or misplaced any keys then it would be easier and cheaper to get them replaced instead of getting your landlord to replace them for you, however be wary of doing so for if the landlord finds out about the locks being changed by a tenant they will most likely make you pay to have it changed again by someone they prefer.